I see something coming via Subterranean Press this summer that appears to be a mix of existing works and some new stuff, as well! 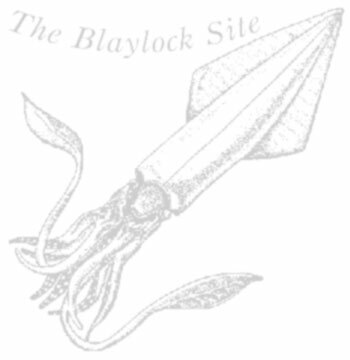 I'd been about to post a query as to whether there was any hint of what Mr. Blaylock has been working on, and there we go! Thanks for the news! Something to look forward to in the summer. Here's the link to the book details. Has anybody read the new material yet? I own the previously published stuff, but am really curious about the newer entries published in this volume. OK, so after posting the question above this post, I decided to not be such a piker, and to support Mr. Blaylock a little more actively: I bought the Further Adventures of Langdon St. Ives. I was hesitating since I already owned three of the five works in the book, but hey, I really wanted to read the other two. And yesterday I had a sudden desire to dive back into that world, so it was obvious what I had to do. Now I will savor the anticipation of reading new Blaylock while I finish re-reading Tim Powers' Expiration Date. Read the Further Adventures yet? I have indeed now read the two new pieces from The Further Adventures of Langdon St. Ives. They are very comfortable additions to the collection, and much like what I hoped I'd find. The images Mr. Blaylock paints with words are incredibly evocative and imaginative. Also, he has strayed into real new territory in one of the pieces, but with no guarantees of further visitations in the future. I do have to say that throughout all of the St. Ives works, the professor himself makes choices of, in my opinion, dubious wisdom...and more dubious as time goes by...but as he surrounds himself with excellent, creative, and loyal people, outcomes are generally positive. Perhaps that is the overriding theme. The Here-and-Therians was one of the funniest stories I've read in a long time. Brilliant.